On Thursday, February 28, 2019, President of the Slovak Republic Andrej Kiska will host a meeting of Heads of State of the Bucharest 9 (B9) countries - Bulgaria, the Czech Republic, Estonia, Lithuania, Latvia, Hungary, Poland, Romania and Slovakia. NATO Secretary General Jens Stoltenberg will also participate in the meeting. 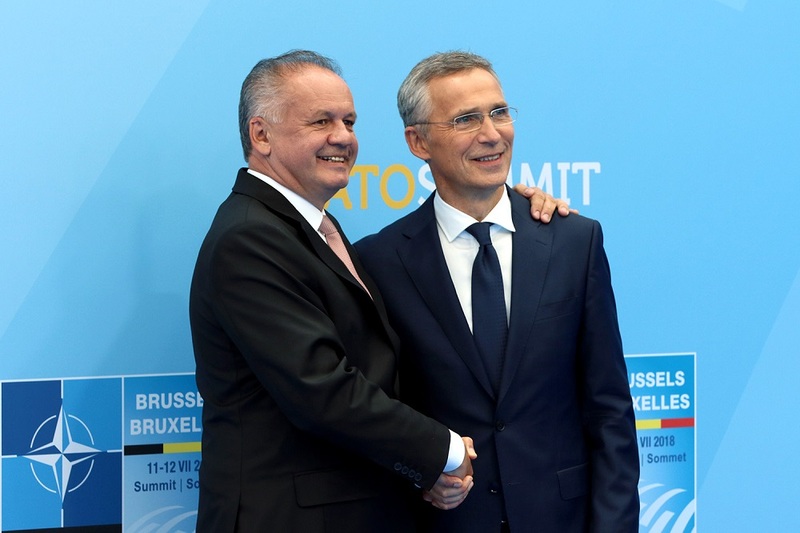 The main objective of the event initiated by President Kiska is to commemorate the 70th anniversary of NATO, as well as the 15th and 20th anniversary of the entry of the B9 countries into NATO. Heads of State will discuss the current security situation in Europe and its neighbourhood. Two guest speakers, Edward Lucas, a renowned analyst on hybrid threats and former editor of the weekly The Economist, and Miriam Lexmann, director of the European branch of the International Republican Institute in Brussels, were also invited to the presidential debate on issues related to cyber threats, spreading disinformation and propaganda. On the occasion of the presidents' meeting, a memorial will be unveiled commemorating above-mentioned important anniversaries. 11:15 First plenary session: "Security situation in Europe, its neighbourhood and beyond - implications for NATO adaptation"
14:45 Second plenary session: "Hybrid threats – building resilience"